First off, let me say that a true comparison between the two is fairly impossible given that LOTRO runs off of technology that is nearly a decade old, while ESO has only recently been released. 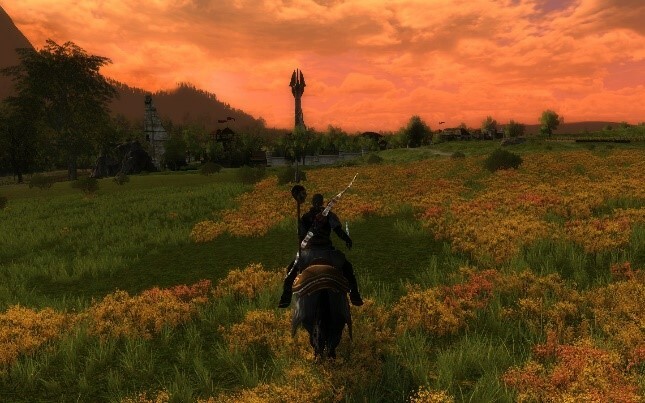 This works both in LOTRO’s favor and against it, as the years of development have provided LOTRO with vast amounts of Middle-Earth to explore and several relatively complex systems and mechanics to master over 95 levels. On the flip side, LOTRO is also hampered by the delicate balance that has been woven between those systems over a seven-year period. 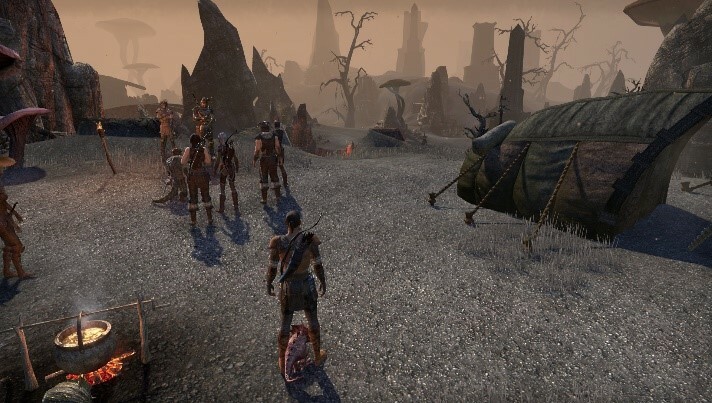 ESO, on the other hand, has the advantage of both newer technology and a green-field development approach that allowed the developers to start with a blank canvas and code the game to fit the vision, instead being forced to shoe-horn it into existing entrenched mechanics. The second reason that a fair comparison (on my part) is impossible is that I’ve spent the last 3 ½ years playing various classes in LOTRO (a few even made it to cap! ), and only the last week playing the Elder Scrolls Online, with my only ESO character currently sitting at level 9. 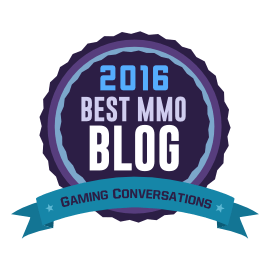 That puts my experience level at about a 99% to 1% ratio in favor of LOTRO, I believe. Regardless of that gap, I’ll do my best to provide some observations that may prove useful. One complaint I hear about LOTRO occasionally is that the graphics haven’t aged well. While this is mostly true with regards to the character models, the newest landscape areas (East and West Rohan) are beautiful to behold. Orange sunsets, nighttime lightning storms, stars that stretch out towards the mountains and grass that moves with the wind of your passing feet are all subtle touches that create a feeling of immersion that, in my experience, is unparalleled in MMO’s. 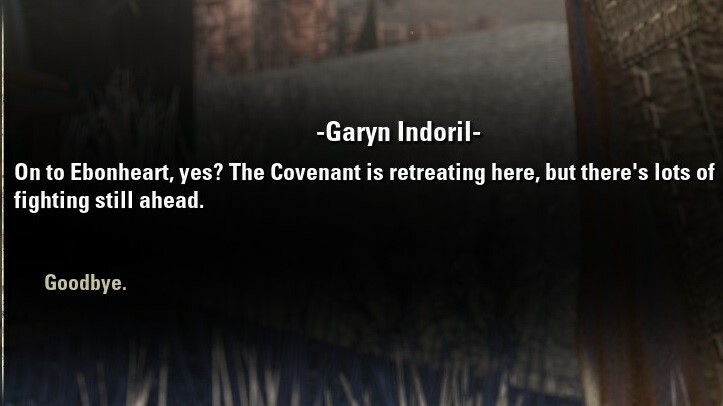 Still, the pre-moria (perhaps it could be argued pre-Dunland) cosmetics are hideous, and the character models and animations could use a major overhaul. 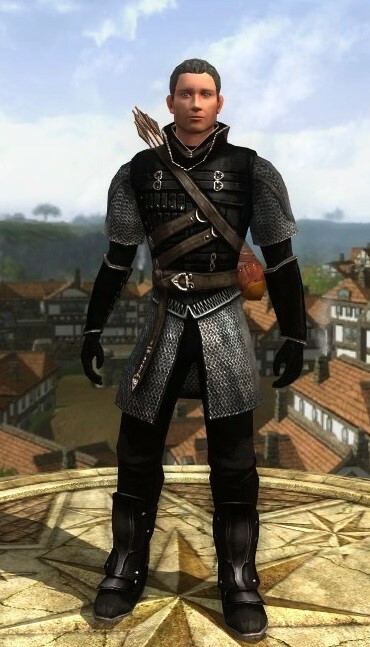 Both ESO’s and LOTRO’s art styles favor realism over cartoonish fantasy. While LOTRO at times feels like you’re riding through a book or painting, ESO feels like you’re wandering through an epic war zone, so realistic is the environment. I’ve heard the complaint that there are too many browns and greys used, but I think the earthy-grittiness is what really brings the world to life. The character models are pristine. The difference in LOTRO and ESO character models are akin to the difference between looking at a standard definition television set and a 1080P HD widescreen. Braxwolf is looks slightly less detailed in LOTRO (left) than he does in ESO (right) Also, not as mean. I always thought that the graphics in LOTRO were nice, and occasionally they even make me pause and take a screenie or two. However, ESO’s realism gripped me from the beginning and has not let go. It’s what you’d expect from seven years of advancement in visual technology. The questing in LOTRO’s “original” game and pre-Rohan areas is fairly dependent on the quest hub model. Players pick up as many quests as possible from quest givers in a certain location, run out and accomplish all quests in the log, then run back to the hub in order to turn the quests back in to the original quest bestower. In the newer areas, the quest hub model is still used but LOTRO has also introduced “auto-bestow” quests in some spots. These quests are bestowed when the player enters the appropriate area. Quests are completed and then “turned in” from the UI, or even auto-completed, wherever the player happens to be at the time. These auto-bestowed quests, along with zones that have been re-vamped, generally improve the quest flow within the game, but certain quest lines (especially within the epic volumes 1 and 2) still require an awful lot of running across the map. Still, the quests are presented in Tolkien-esque text and the writing is typically top notch. 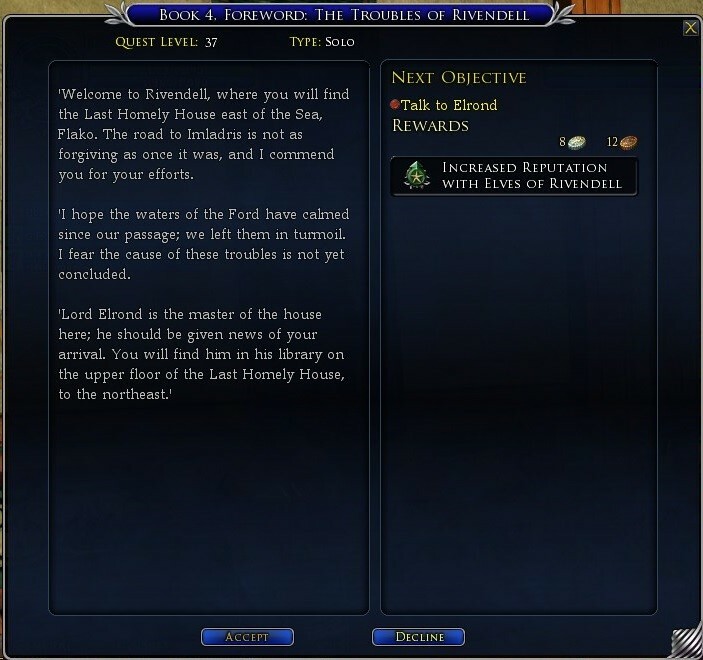 I would advise anybody playing through LOTRO for the first time to slow down and read the text boxes, especially if they’re fans of the Lord of the Rings books. ESO does seem to use quest hubs to some extent, but the extensive use of phasing really enhances the flow of questing through the landscape. NPC’s bestow a quest in one area and show up somewhere else in the landscape for the turn-in/advancement. This works well in guiding the player closer to his/her next objective. It’s all been designed very thoughtfully and the effort pays off. I haven’t noticed anything that resembles an “auto-bestow” quest from LOTRO, but I also haven’t found that it’s needed. Quests are delivered through simultaneous text and voice acting which provides a very engaging experience for the player. The story writing, while possibly not up to LOTRO standards in level of detail, is concise and interesting. So far, it’s been an enjoyable experience that I don’t plan to rush through. In my book, questing is one of the most important aspects of an MMO. Both of these games have found enjoyable and interesting ways to keep me plugging away on the hamster wheel. In future installments of this series, I hope to cover advancement, community, complexity, intellectual property, and possibly even lore and overall value. Stay tuned! I’m glad you’ve found time in your schedule to return in any capacity to blogging. You do it well, I enjoy reading it, but mostly you clearly enjoy it. I am a fan of both yourself and a certain english blogger/ podcaster and actually the pleasing aspect of you both returning in any capacity is clearly it’s because it brings yourself pleasure.